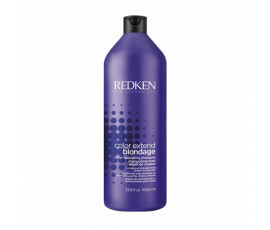 Gorgeous blonde hair is the best revenge with Redken Color Extend Blondage, a complete product line with shampoo and conditioner for both natural and chemically-treated blonde hair. Enriched with pure violet pigments and Triple Acid Protein Complex, this formula hydrates, tones, shines and strengthens hair deeply. 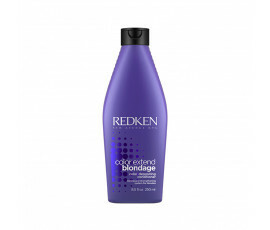 Redken Color Extend Blondage removes brassy tones, leaving hair strong and shiny! 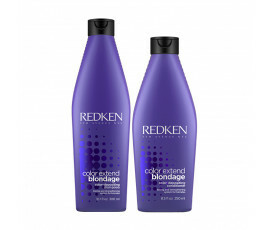 After just a few uses, Redken Color Extend Blondage neutralizes all yellow and brassy tones from blonde hair, protecting it from breakage and adding intense, bright shades. Leaves hair soft and healthy as never seen before!